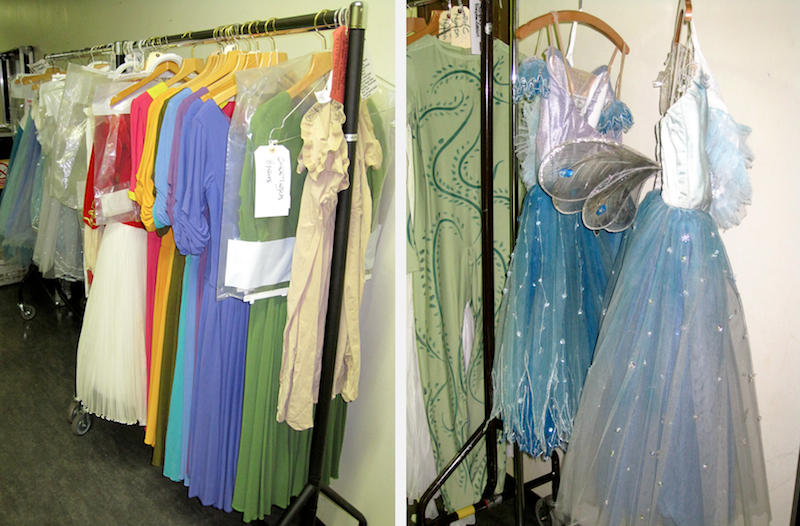 Birmingham Royal Ballet are currently on tour in Japan. This is a very welcome visit during challenging times for the Japanese people. In the wake of the post-earthquake nuclear crisis, when so many concerts and dance performances have been canceled, BRB are bringing two different programmes to four cities. On Tuesday the company also helped raise money for the Japan Earthquake and Tsunami relief fund with a special gala performance of Frederick Ashton’s The Dream, paired with Daphnis and Chloë. The Tokyo Ballet rehearsal hall stretches out, a cavernous, black-floored luxury for dancers. Miyako Yoshida with her diminutive Japanese frame, partnered by Birmingham Royal Ballet’s Robert Parker, looks especially small and well, fairylike, centered in that great space, surrounded by considerably taller dancers. 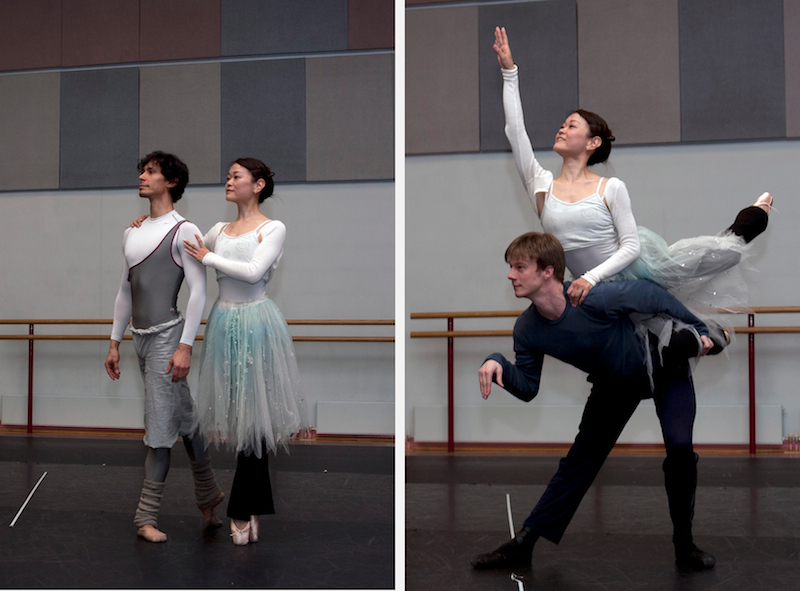 They are rehearsing the roles of Titania and Bottom for Ashton’s The Dream. It is Sunday, and a special gala benefit to aid Tsunami Relief has been added to the tour, meaning the first show will now be in just two days. Yoshida thus brings up a cultural difference between Japan and the ballet world of other countries: “Everything is on time in Japan, but rehearsals will go on forever. When I went to England, I was so surprised, in the middle of the orchestra rehearsal, the orchestra all left, because it was time to officially end. But I thought, wait, we have to finish rehearsal!” In Japan, rehearsals do not end until everything has been practiced to the director’s satisfaction, regardless of promised end times. Since returning home to Japan last summer after her retirement from The Royal Ballet, Yoshida has kept busy, dancing with The Mariinsky, Star Dancers Ballet in Japan, and now this tour with BRB. 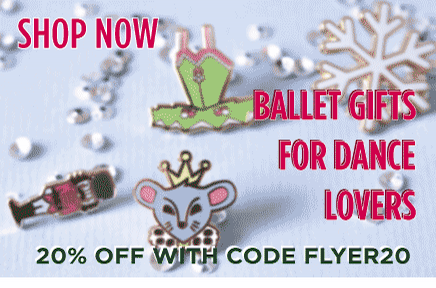 Upcoming plans include a production of Coppélia in Japan, as well as an original piece to help Bunka Kaikan, the main performing arts theatre in Tokyo, celebrate its 50th anniversary in November. 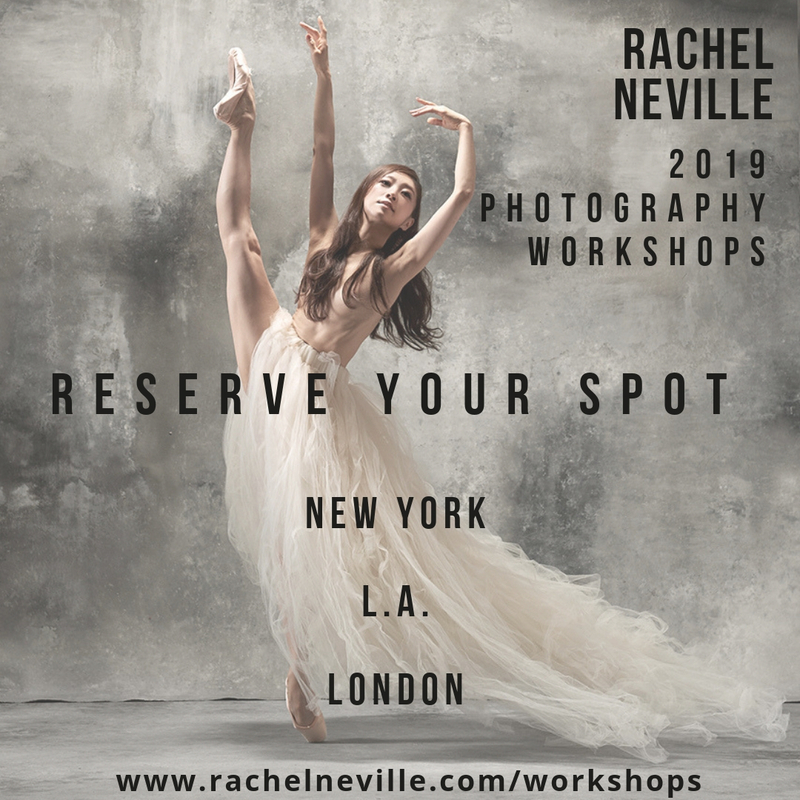 She also has an educational DVD on teaching children ballet out later this month, and a photo-book coming out this year, showcasing her final performances in Japan and in London with The Royal Ballet. 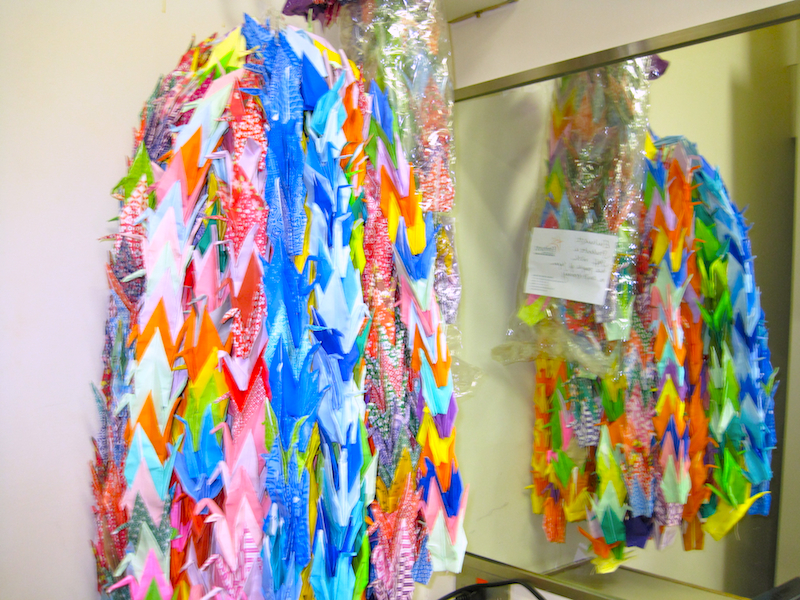 After hearing about the earthquake, students from the Elmhurst School for Dance made one thousand cranes in support. David Bintley introduced this story on stage, and then three students from Elmhurst presented the cranes to NBS’s Standing Director, Norio Takahashi. The audience was touched, and Takahashi complimented BRB for coming, despite the worries about the nuclear power plant, and how we (Japan) could really feel their hearts. It was a lovely speech, and I wish I were a better translator! The gala was a great success, with the company collecting in excess of £10,000 for the Japan Earthquake and Tsunami relief fund. They sold pictures of the dancers for 300 yen each. Booklets on Birmingham Royal Ballet signed by the company – rather underpriced at 5,000 yen – also sold out very quickly. 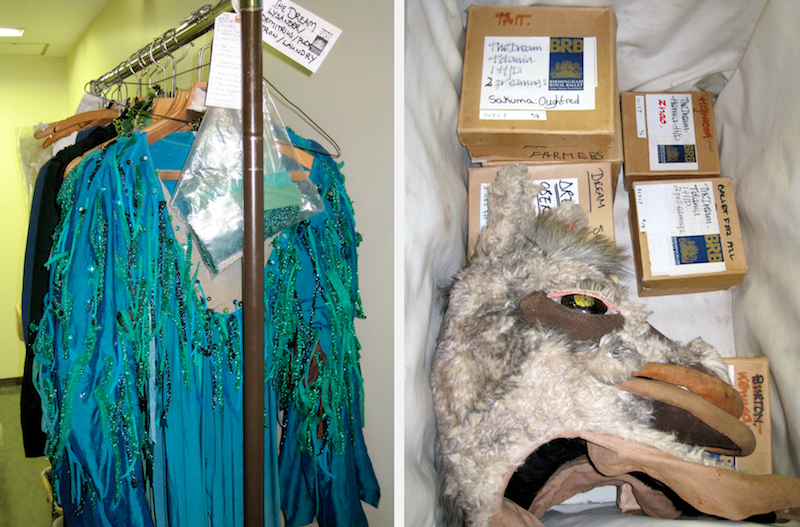 BRB’s fundraising efforts included an auction for a costume of Marion Tait as Titania. 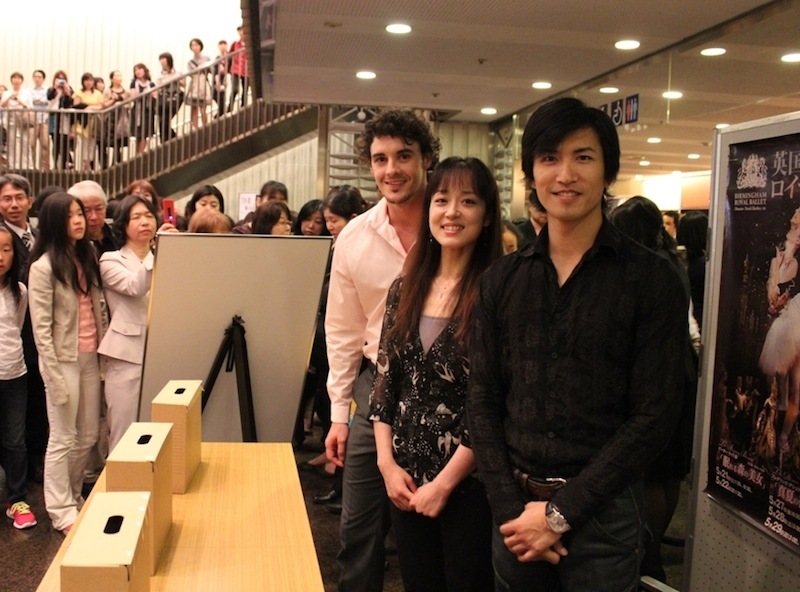 Principal dancers Chi Cao, Nao Sakuma and Iain Mackay were also present, assisting with the collections. As for the performance, Miyako san was brilliant. 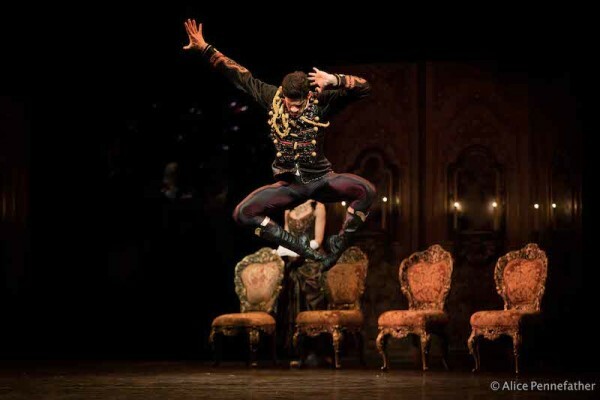 I felt like a little girl again, to be so in awe of a dancer (César, too, if I am completely honest. Wow!). 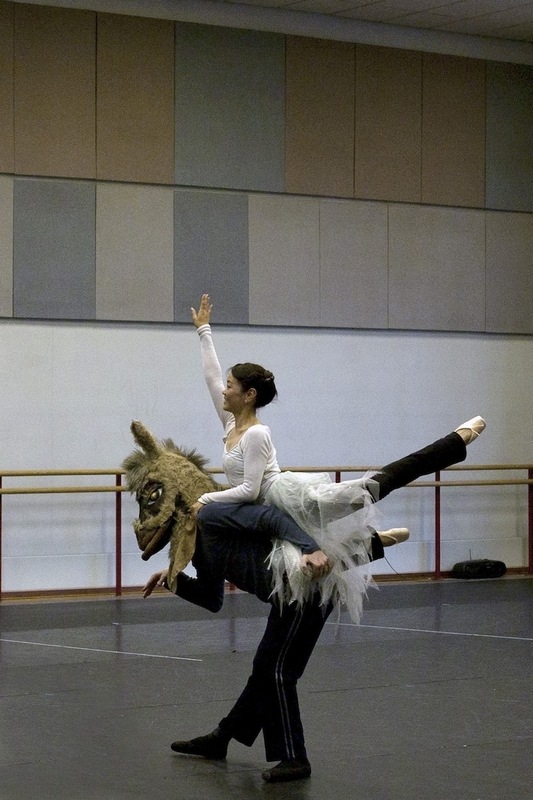 Titania’s leap onto Bottom’s back, which had required a few adjustments between Yoshida and Parker during the rehearsal I attended, flowed beautifully. The audience really appreciated all the comic touches and laughed in all the right places. The Dream was an absolute triumph. Daphnis and Chloë was wonderful too. It was my first time seeing it, as I did not catch any of the rehearsals. The public was happy and the dancers amazing, but one could sense in the atmosphere that The Dream was what the crowds were waiting for, and it did not disappoint. With thanks to The Ballet Bag & Birmingham Royal Ballet, especially Simon Harper, for being such a friendly and gracious company. Companies are still canceling their Japan Tours, unfortunately, but if only more could follow BRB’s example, the arts world in Tokyo will revive quicker. fab article – and some lovely pics. Thanks! 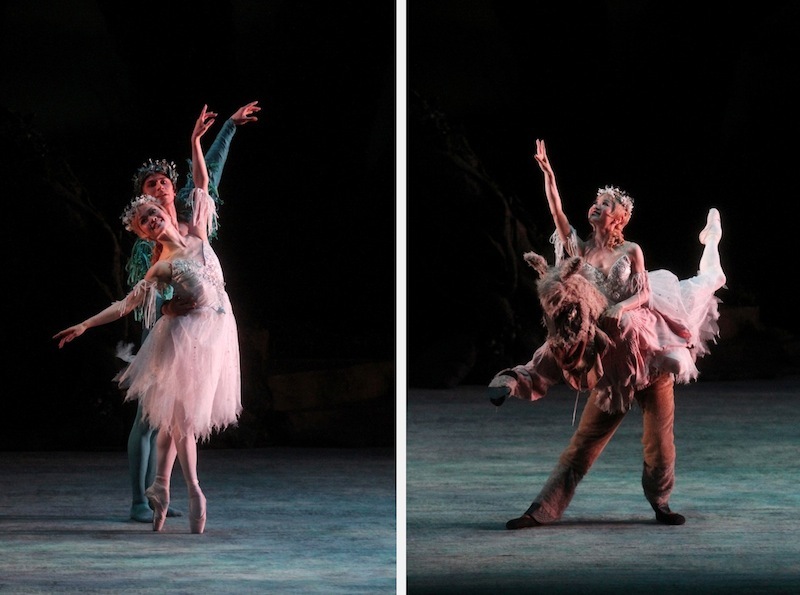 I attended BRB Ashton double bill on Sunday. As her farewell matinee with BRB, it was a big emotional occasion for most of the Tokyo audience, too, who have long loved Miyako Yoshida. As ever her every movement precisely hit the beat, but they were not only precise, but they also had subtle and flexible swing that breathes with music. In a word she was just MUSICAL! I really felt the friendship of BRB company in our hard time. Thank you, BRB. Come back to Tokyo very soon! I love to watch many more Bintley, Ashton, and MacMillan programs. Wonderful feature on one of my favorite companies! What would I give to see some ballet in Japan one day… My congratulations to Kris.